Sony built the fastest USB 3.0 Flash Drive (that I know of) to date. 120MB/s for the 16/32/64GB drives. 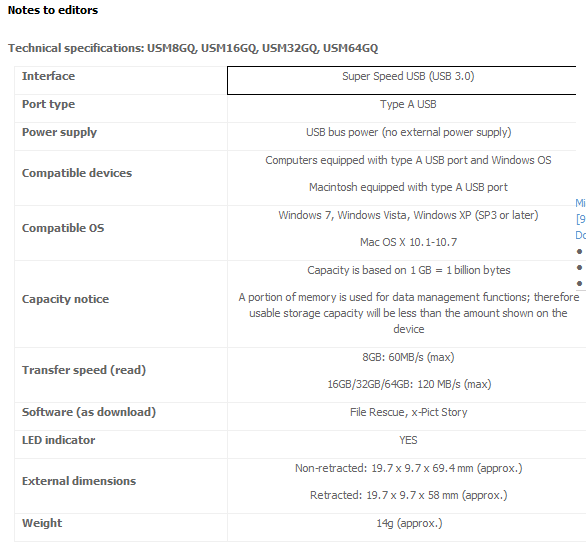 Our fastest USB 3.0 Flash drive in the lab is the Super Talent which runs at about 74 MB/s for the 16 GB version. This makes the Sony Drive about 60% faster than the Super Talent. Caveats – The first and fastest USB 3.0 Flash Drive was actually a SuperTalent drive at 128GB. It was a raid drive, so it had at least 2 banks of memory to allow for faster, reads from the drive. This wasn’t a mass market drive. It cost $600 for one drive. The SuperTalent 16GB drive is $20. The Sony will probably be in the same price range. So for the moment, I’m guessing that the Sony Micro Vault will be the best performing USB 3.0 Flash Drive for consumers for awhile. I’m also guessing it uses more expensive flash memory for faster access, it probably also uses a raid type configuration as well for faster performance for the larger capacities of 16GB and more. I’m just guessing. 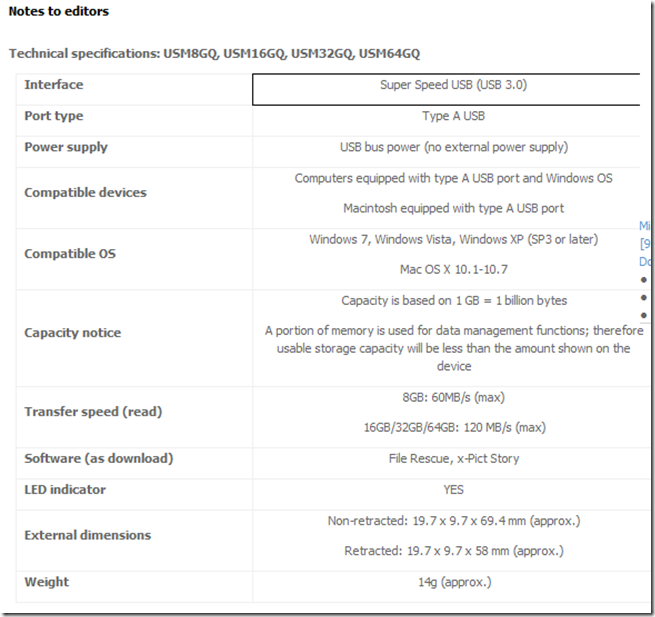 This post is filed under USB 3.0, USB 3.0 Adoption, USB 3.0 Products.